Inspired teammates | American Transmission Co.
We like working here, we are passionate about what we do and we are inspired daily by our colleagues and the communities we serve. Year after year, American Transmission Co. is recognized as one of the nation’s top employers. We are consistently named one of the best workplaces in the U.S. by Great Place to Work® in FORTUNE magazine for high marks from employees on trust, pride and camaraderie at work. We are also Great Place to Work Certified. Other Great Place to Work® designations include: Best Workplace for Giving Back, 30 Best Workplaces to Retire From and 15 Best Workplaces in Manufacturing and Production. We also consistently land on the Milwaukee Journal Sentinel’s list of Top Workplaces in southeastern Wisconsin. 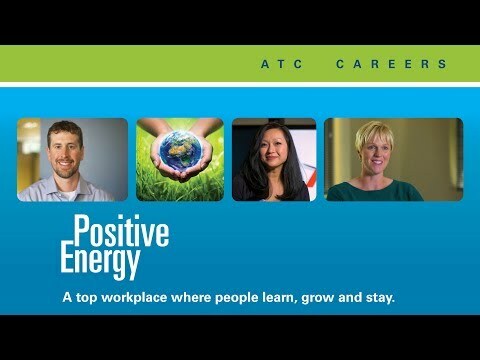 ATC received the 2017 New North Workplace Excellence Award, presented by New North, Inc. and Right Management Inc. The prestigious award recognizes organizations within an 18-county region that enhance their competitiveness through people practices that lead to business success.